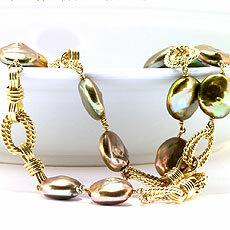 Custom made freshwater pearl necklace and beautiful 18kt yellow gold hand made links is a one of a kind design. 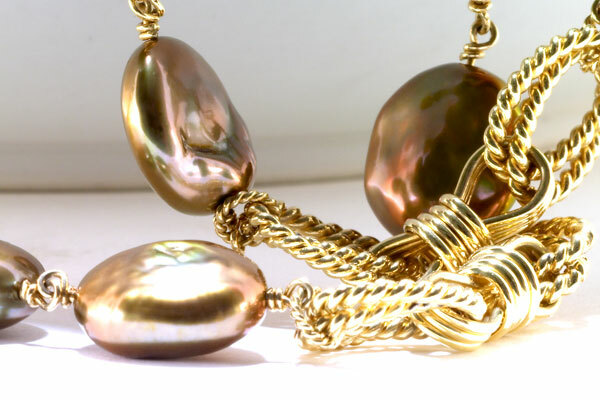 Each pearl was hand selected for their luster and depth of color. 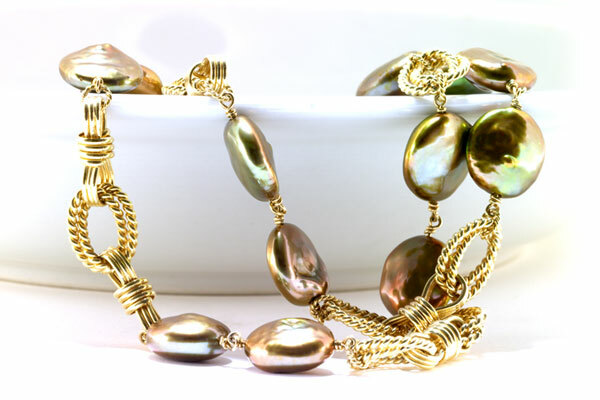 They are a combination of forest green and antique gold. The color works wonderfully with the hand made links. This is a perfect necklace to where from day into night.